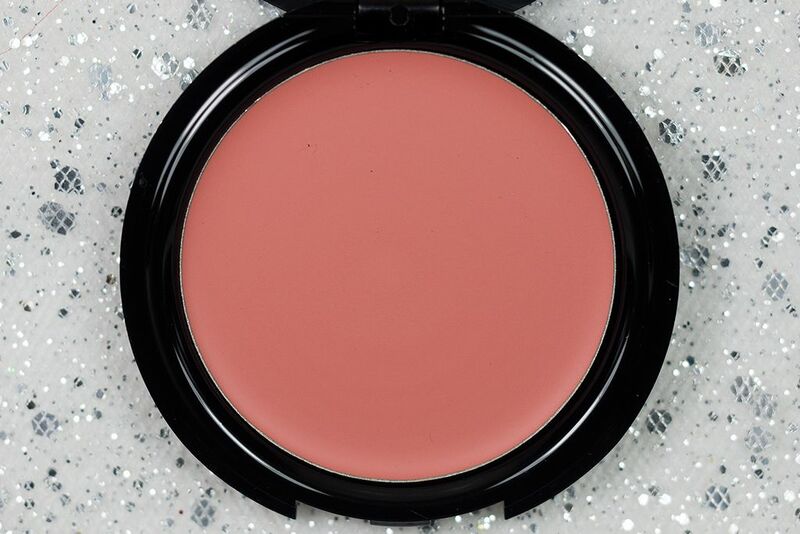 Most people gravitate towards cream blush during the warmer months, I, on the other hand, wear cream blush all year long. 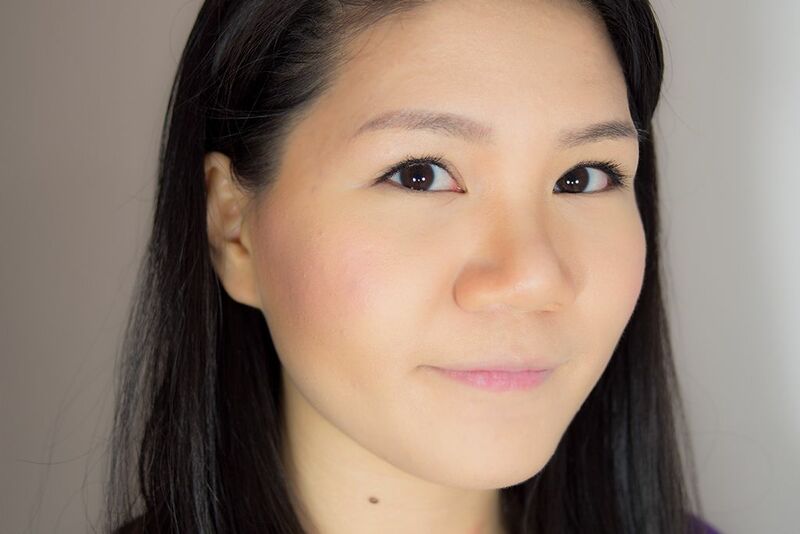 I just find that they look very natural on the skin and they also typically last long on me (oily skin problem). 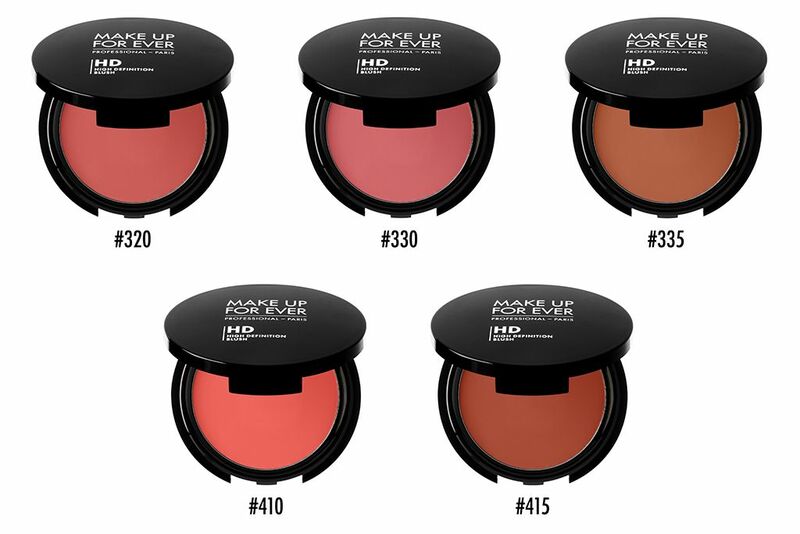 And lately, I have fallen head over heels for the new MAKE UP FOR EVER HD Cream Blush (CA $31 / US $26). I first got introduced to this new product at the MAKE UP FOR EVER What Makes You Blush? event. 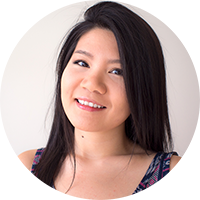 While I was there I learned a bit more about MUFE's HD line, specifically the HD Cream Blush, and got some tips and tricks on how to apply blush the flattering way (also got a caricature version of me drawn). 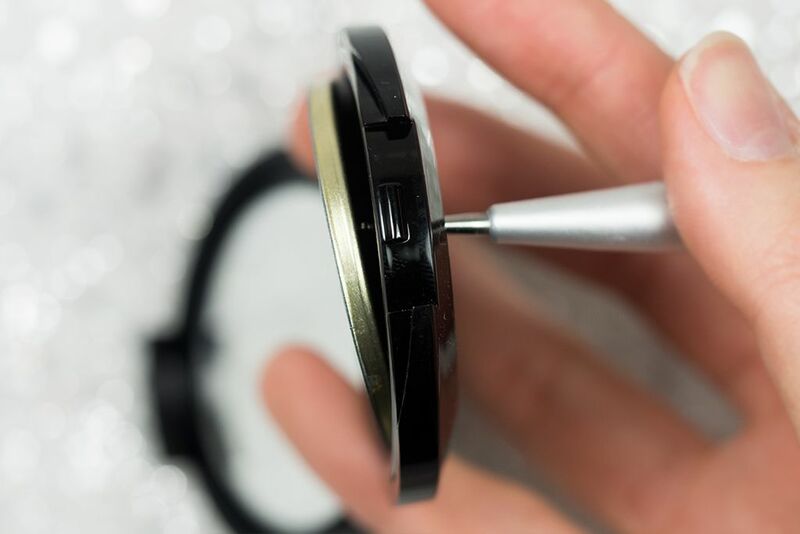 Did you know all of the MUFE HD line was all tested on HD cameras to make sure they're actually HD? This means all of their HD products will create a soft focus look that makes it look good both on camera and in real life. 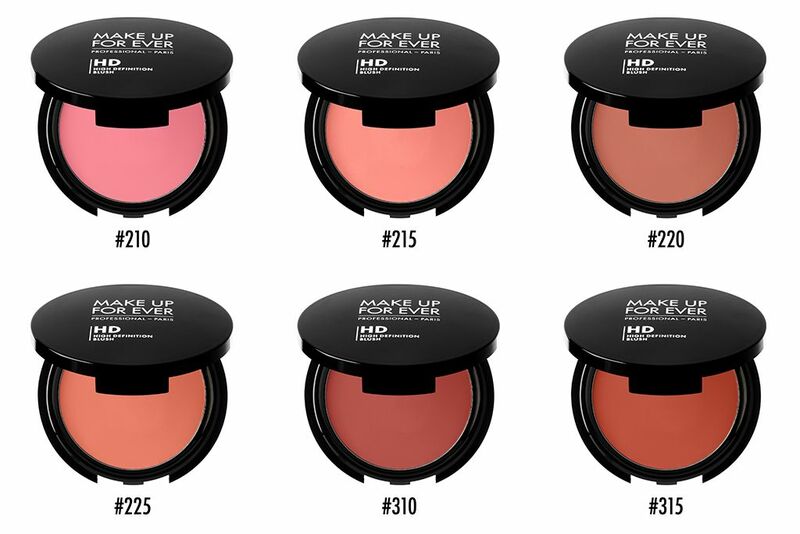 The HD Cream Blush in particular has a "second skin formula" that is "undetectable both on screen and to the naked eye". As far as I can tell, I feel that this claim is quite true. The silicone-y formula melts into the skin and creates a natural flush. It is very smooth and blends very easily. 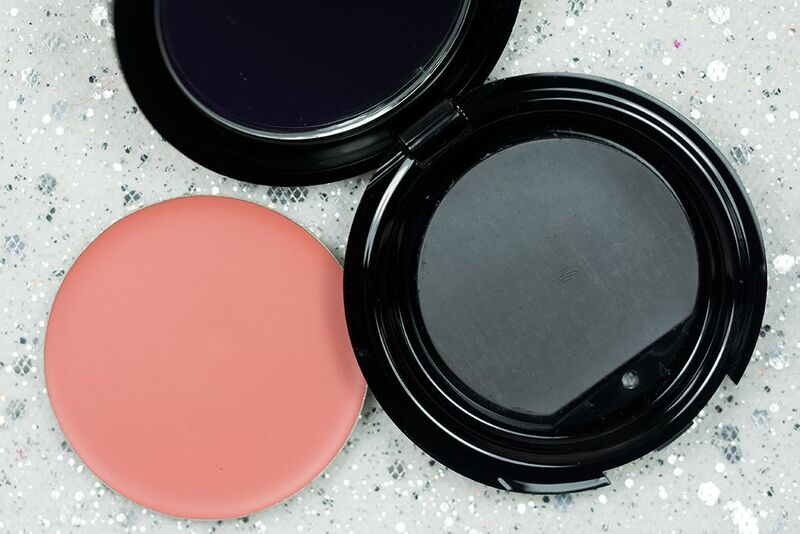 None of the shade contain any shimmer, it is, what I would call, a demi matte finish. To add to that it also lasts quite a long time throughout the day. Unless I try to rub it off, it doesn't fade until about 8 hours in. 225 is a light peachy pink that would flatter light to medium skin tone. 410 is coral is a universally flattering shade. 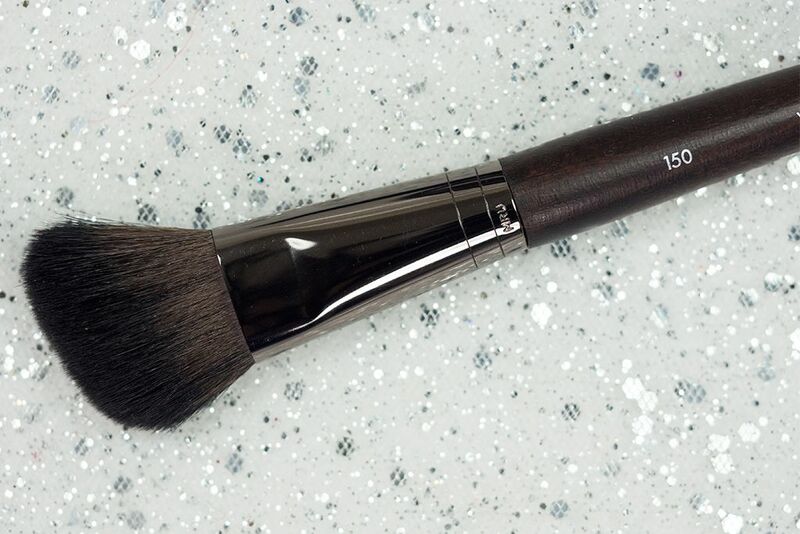 Of course, MUFE also make a great blush for this purpose, which is their 150 Precision Blush Brush (CA $46 / US $40). 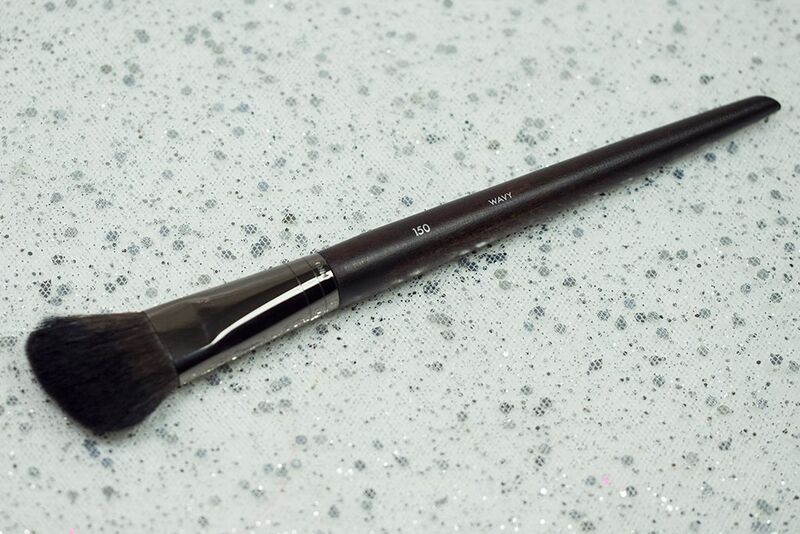 It is as soft as the other Artisan Brushes I have tried. 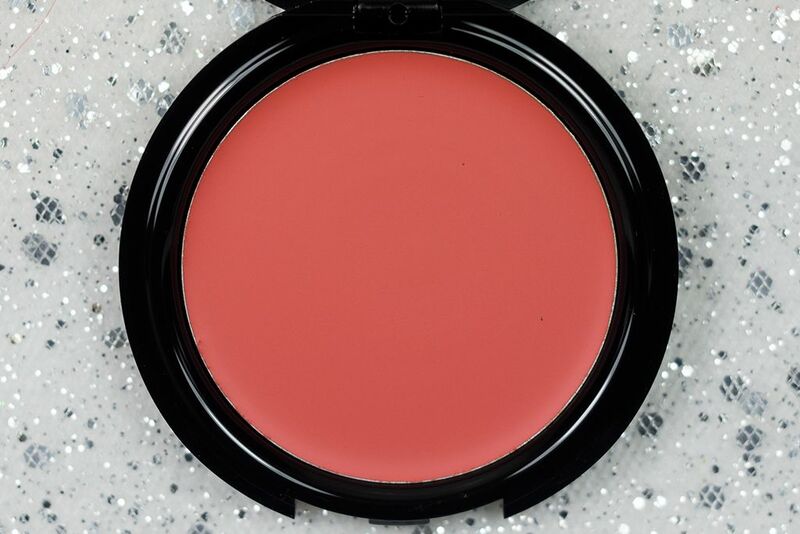 It is great for the purpose of applying cream blushes (I have tried it with a few other cream blush formula). I haven't tried it with powder blush though. 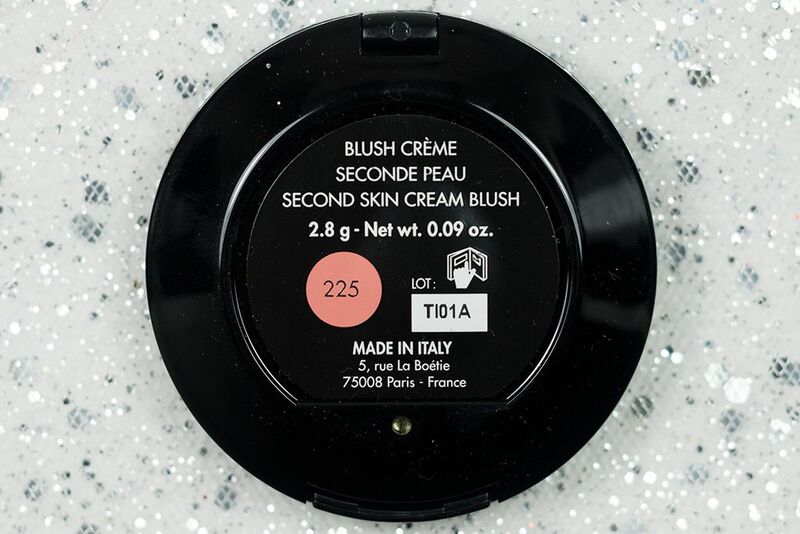 With cream blush, it does a great job on distributing the product evenly and I would also use it to blend, simply by repeating the "infinity" motion. 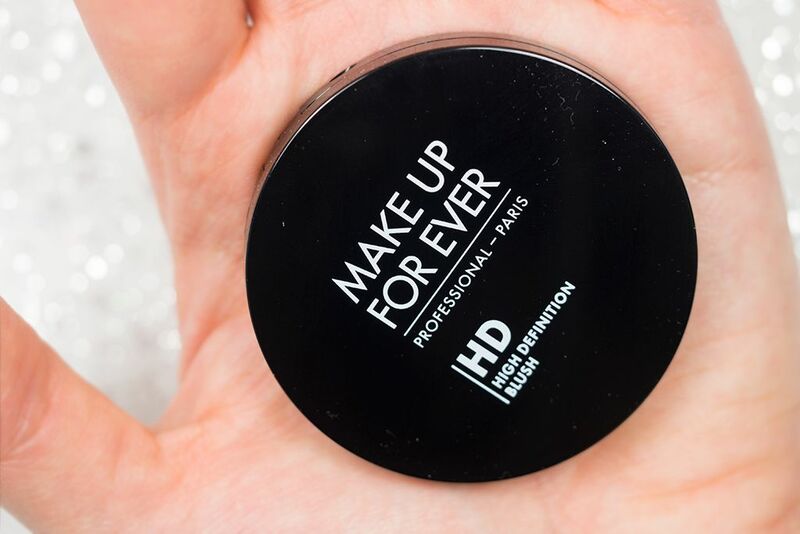 This is yet another great product from the MAKE UP FOR EVER HD line. 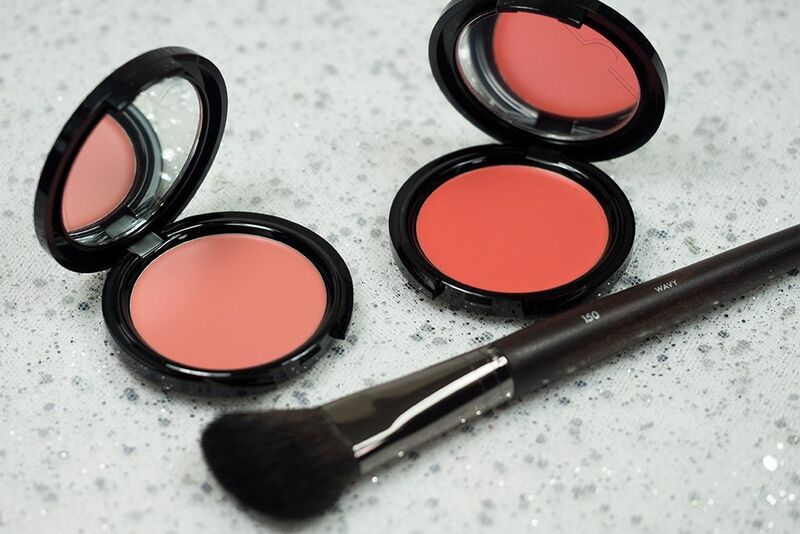 I really enjoyed using these cream blushes as well as the trick that their makeup artist taught me. It comes in 16 shades in total to cater to most, if not all, skin tones. 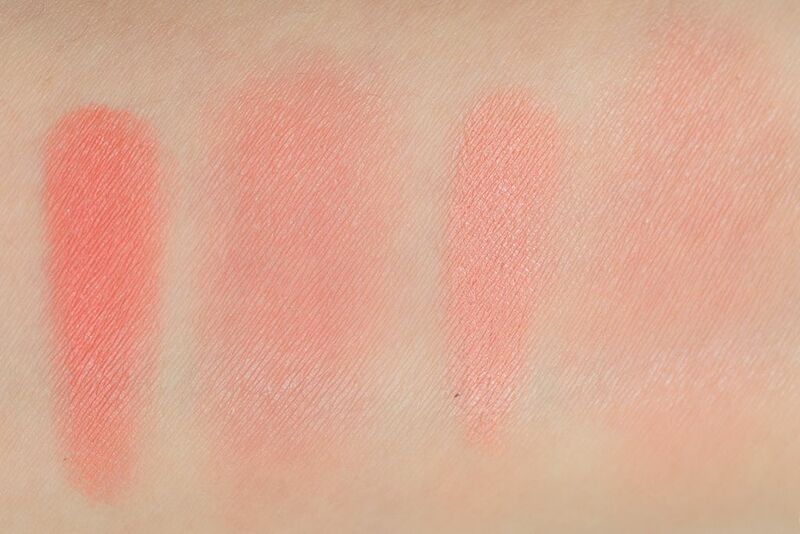 Definitely give it a swatch next time you're at a Sephora or a MAKE UP FOR EVER boutique (coming in Spring 2014). So, what makes you blush? 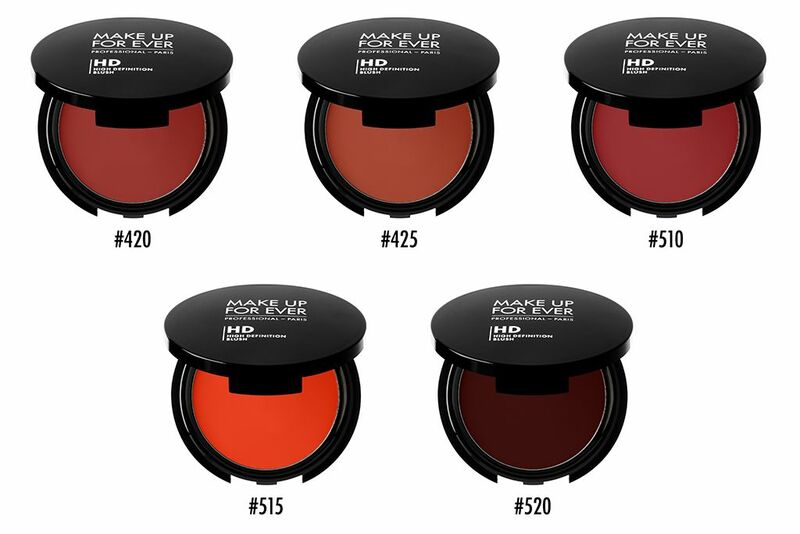 Which shade are you eyeing on? Let me know! 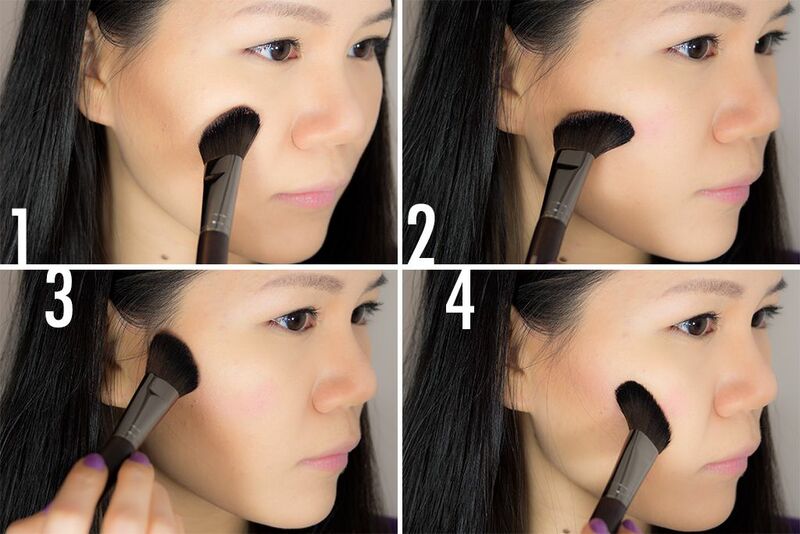 The blushes look amazing, but that brush! I'm going to head over to Sephora asap to try it. I love the shape of it and the short bristles! Hmmm... applying blush in a figure 8 pattern. I'll have to try that out! 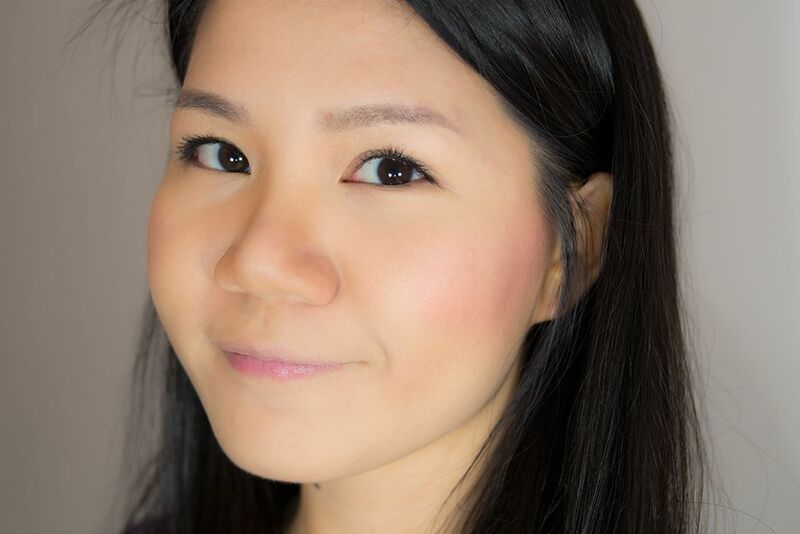 I never tried mufe blush before! It looks so beautiful on new, very fresh!